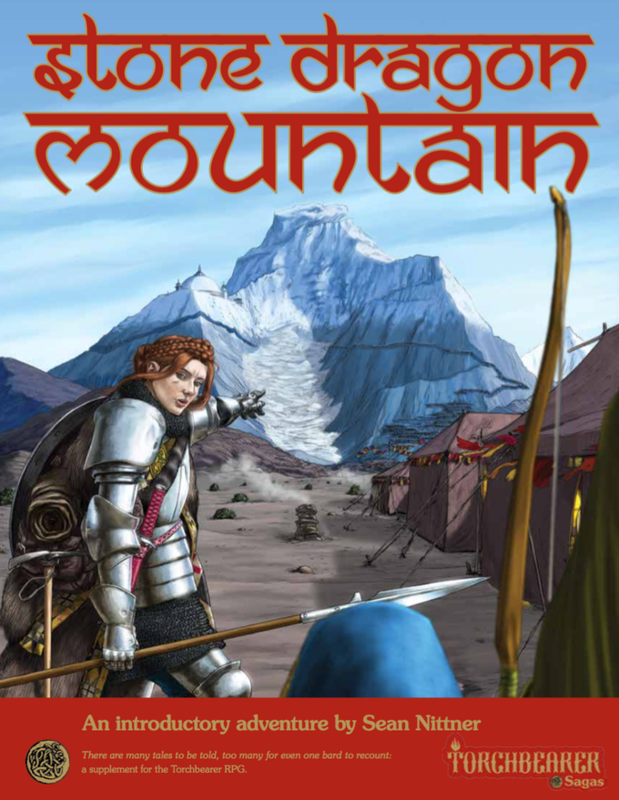 Stone Dragon Mountain is Sean Nittner’s epic adventure and campaign setting, inspired by the Himalayas. Deep inside the frozen Stone Dragon Mountain, an unearthly fire burns. It is stoked by generations of hatred for the local mountain dwellers, who try to forget their shameful history appeasing wrathful gods. but before the mountain erupts into violence and fire, a few ambitious explorers will have the opportunity to climb its frozen peaks, learn its secrets, and plunder its hoards. Will that be you brave adventurer? Or will the mountain consume you as it has so many others before? This entry was posted in Promotions, Torchbearer Sagas by Thor Olavsrud. Bookmark the permalink.